Technological advancement is a critical aspect of medical innovation. Without the constant evolution of technology to support and empower medical professionals, countless people around the world would succumb to treatable illnesses and conditions. But in order for these high-tech systems and concepts to become standard in medical treatment, they must be meticulously tested and scrutinized. 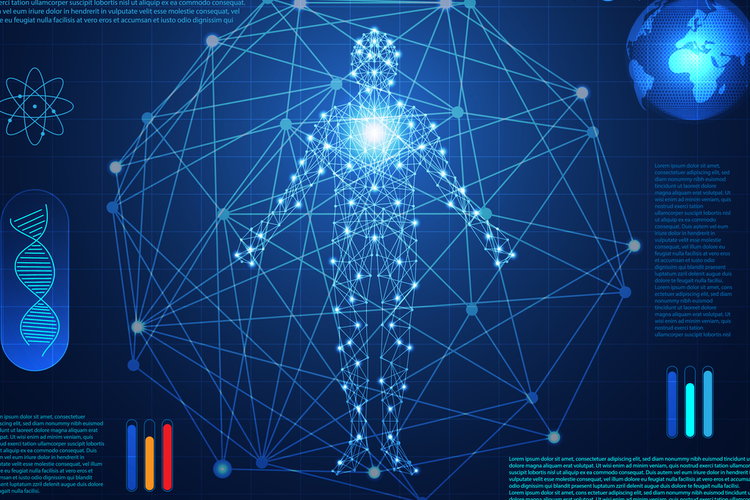 Every day, researchers and doctors dedicate themselves to finding new ways to make use of advanced tech — such as machine learning, artificial intelligence (AI), nanotechnology, and robotics — in order to create better treatment options for various medical conditions. Below are just a few examples of some of the most recent developments in medical research. Alzheimer’s is one of the most mysterious diseases facing medical researchers and practitioners today. Not only is the cause of the disease unknown, but there is also no known cure. Treatment options offer some symptomatic relief, but cannot actually rehabilitate the brain. Some researchers believe that the key to effectively treating Alzheimer’s is through early intervention. But Alzheimer’s can be hard to detect in the initial stages, making early diagnosis and treatment difficult to execute. However, according to a study published in the medical journal Radiology, researchers from the Radiology and Medical Imaging Department at the University of San Francisco, along with the Big Data in Radiology research group of UC Berkeley, have developed a deep learning algorithm that can predict Alzheimer’s by analyzing images of the brain. The algorithm is designed to evaluate glucose uptake levels in the brain by analyzing FDG-PET scan images. This type of PET scan involves the injection of radioactive glucose compounds into the blood. Glucose uptake in the brain is an indicator of metabolic changes, which have been linked to Alzheimer’s. The researchers fed the deep learning algorithm thousands of scanned brain images, allowing it to eventually develop the ability to recognize specific metabolic patterns that are linked to Alzheimer’s disease. By the end of these experiments, the algorithm had achieved 82% specificity at 100% sensitivity for the early detection of the disease. Although much work remains to be done, these early results offer a glimmer of hope. Sepsis occurs when, in an attempt to fight an infection, the human body starts to damage its own organs and tissues. The condition is a widespread problem and one of the most common causes of death in hospitals, affecting as many as 1 million Americans every year. At its most severe, sepsis can be fatal — the National Institute of General Medicine Sciences estimates that 15 to 30% of sepsis patients die from it every year. Although it’s very dangerous and has a high fatality rate, sepsis can be managed and treated using a wide variety of treatment options, including antibiotics, intravenous fluids, and vasopressors, which are designed to raise reduced blood pressure. The process of treating sepsis can be very tricky, though, as it can be challenging to know which treatments to use and when. For example, treating with vasopressors too early on, or unnecessarily, can have serious consequences, such as heart arrhythmia and tissue damage. This often means medical practitioners must make critical judgment calls based on a patient’s symptoms; if even slightly off, these decisions can be devastating. But recently, researchers from MIT and the Massachusetts General Hospital (MGH) developed a way to use machine learning to assist medical professionals in deciding when to administer which medicines to sepsis patients in the emergency room and intensive care unit. The research illustrated how a machine learning model can process health data from sepsis patients. The data is used to determine if and when a patient will require vasopressors, which would ultimately keep patients that don’t require vasopressors out of the ICU while allowing patients who do need it to start treatment early. This machine learning model could be embedded within the bedside monitor along with the other vital indicators, and could be designed to alert ER doctors and nurses when to begin treatment. This would completely revolutionize sepsis treatment in the ER, saving hundreds of thousands of people every year. Eyes are highly sophisticated organs consisting of complex structures arranged in delicate layers and filled with a jelly-like substance called vitreous fluid. Because of the eyes’ size, anatomy, and sensitive nature, retinal diseases and conditions can be especially difficult to treat. Nanotechnology has already attracted a lot of attention in the medical field, largely due to its ability to act as a minimally invasive drug delivery system that distributes medicine to specific tissues or cells. But it wasn’t until fairly recently that researchers designed nanobots that could move through the sensitive eye tissue without damaging it. Developed by researchers from the Micro, Nano, and Molecular Systems lab at the Max Planck Institute for Intelligent Systems in Stuttgart, Germany, these nanobots feature a propeller body comprised of a spherical head and a corkscrew-shaped tail. The nanobots are fabricated using a specialized 3D manufacturing process, and are constructed using tiny magnetic particles so that the bots can be guided by doctors using magnets. To make the nanobots suitable for use in sensitive organs like the eyes, the lab added a specialized coating to the bots. Inspired by the carnivorous pitcher plant, which produces a slippery substance that causes insects to slide into a leafy vat of digestive juices, the coating’s slick nature gives it the ability to move through the sticky vitreous fluids without damaging the eye. In early 2018, after years of laboratory testing, a Florida-based man named Johnny Matheny became a cyborg. More specifically, Matheny became the first person to use an advanced mind-controlled robotic arm in a non-laboratory capacity. This prosthetic wonder, known as the Modular Prosthetic Limb (MPL), is the crowning achievement of a 10-year research project developed by the John Hopkins Applied Physics Lab (APL) and funded by the Defense Advanced Research Projects Agency (DARPA). Featuring 26 joints, 17 of which can be moved independently of one another, the MPL uses neural activity to manipulate the bionic limb’s movements. The MPL has been tested in the laboratory for quite some time, but Matheny is the first subject to actually live with the limb and use it in non-laboratory circumstances. Matheny has shown a high level of control over the MPL, and is able to move every finger in the prosthesis using only his thoughts. Having Matheny use the prosthesis in everyday, real-life scenarios is also part of the testing phase. This is documented and reported regularly to the APL, allowing the lab to identify technical issues and work on further improvements. Since beginning this at-home experiment, Matheny has used the MPL to cook, mow the lawn, and even play the piano. Before it became one of the most prevalent, well-known antibiotics, penicillin was just a kind of mold that a handful of doctors and researchers had observed but didn’t fully understand. It wasn’t until Alexander Fleming formally discovered the mold in 1928 that penicillin began to be used to its full potential. In the years that followed, the mold was studied, isolated, and tested before becoming a standard treatment for infections in the 1940s. Today, the medical industry is evolving rapidly, with new, cutting-edge tech being introduced seemingly every day. And although technologies such as AI, nanobots, and robotics aren’t yet ready for universal use in the field, these innovations show great promise for the future of medicine.